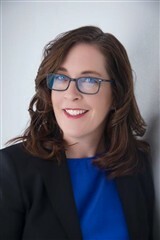 As the managing director of Sentio Engineering – a team-international business – Kathleen J. Coffey demonstrates an expertise in all areas of project management for the oil and gas industry. Regarded for her innovation and problem-solving skills, she celebrates a career that has spanned 28 years so far. A founding member of Sentio, Ms. Coffey is a highly skilled, well-respected professional engineer. She specializes in the critical areas of process design and project management, and focuses a great deal of energy on Sentio’s experienced engineering team, which is dedicated to offering Fit for Purpose™ EPCM design. The company’s professionals are savvy in the areas of engineering, operations, startup services and construction management, and they focus their efforts on quality, as well as health and safety, environmental issues and life-cycle costs.